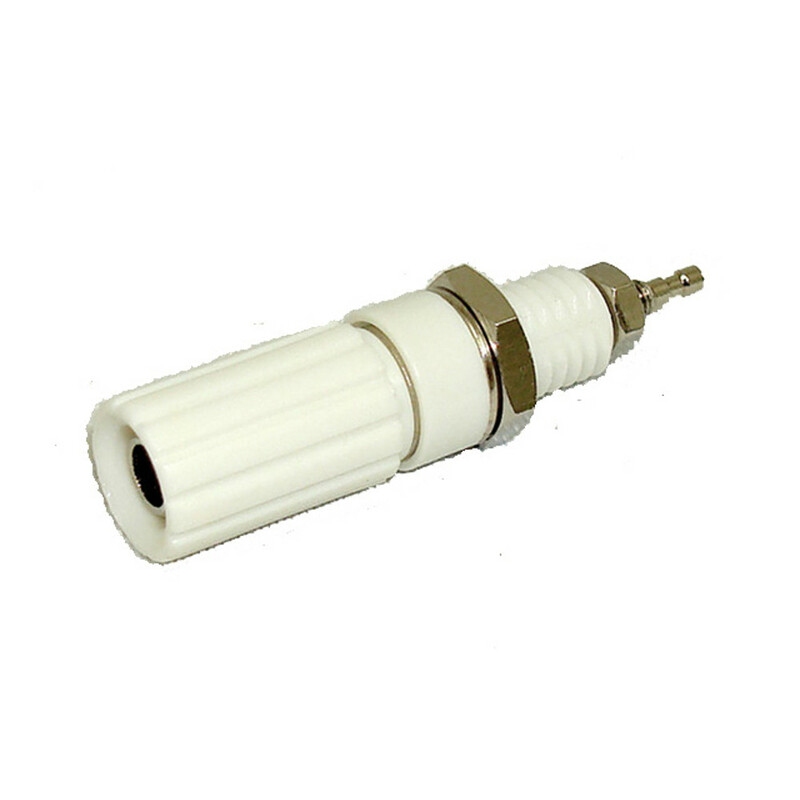 White Fully Insulated 5-Way Binding Post. It's molded plastic bushing prevents shorting. Non-removable fluted head accepts banana plug. Transverse hole in center post for positive wire retention. These 5-way binding post accepts stripped wire, banana plugs (2 ways), spade or ring lugs.The back side can be soldered, or connected to a spade or ring terminal using the double locking nuts on the post.